Two years ago my friend Jason Breed and I created Hashtag Socialmedia– a tweetchat that revolved around talking about the business of social media. We patterned the chat around the rise of tweetchats that had distinct hashtags associated with them-our model came from Sarah Evans and her #journchat, which at the time was virtually the only tweetchat out there. Her idea became our idea. But with additional bells and whistles and a different topic. The same but different. What drove both were the variety and types of people that participated. Was it a form of “Me-too”-ism? Maybe. But we weren’t competing for the same eyeballs and ears, so it didn’t matter. We took the basic concept of a tweetchat and made it our own. In the larger picture of the social web though-there is Facebook, Twitter, Linkedin, YouTube and blogs. Those are your so called starting points in social and then everything else sorta falls into lockstep behind them. I’m generalizing blogs, but if you insist, I could go with WordPress, Typepad and Blogger. The point is this. Right now we are stuck in the Me too phase of social. I see things being created that are offshoots of the basic premise of connecting, sharing and communicating-but nothing that is transformational. Nothing that is altering the way people do business. If anything, I still see the adoption of social media taking longer than I expected. See what I mean? We’re all drinking from the same well. Doing what we’ve been told works. We’re all in the same bathtub and the toys in the tub are the same one’s that were there last week, last month and last year. 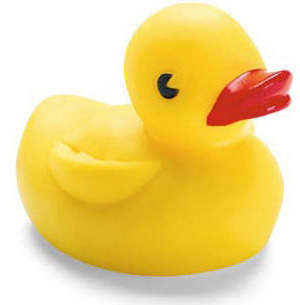 Any new additions to the tub will be the same “type” of bath toys that are currently available, but nothing really new that may spur me to take two baths in the same week!. I know, what a ridiculous analogy-but my point being that I’m afraid that we’re stuck right now and it might be awhile before we become “unstuck”. Recently I read where, First it was AOL, then it was Microsoft, then it was Google and now it’s Facebook. I’d say that was pretty safe. But look how different each was from the previous NBT. All of those above mentioned platforms all have a solid foundation of “ease of sharing, creating, connecting and communicating” at their core. There is no mystery about that. Sure, we’re exploring different ways that those can be exploited-but nothing really different. It’s “Here’s what you do, here’s how they work, the rest is up to you”- Now go do it. The mystery is in what’s next. We obsess on it. But I will say this- We don’t need another Facebook. We don’t need another Facebook competitor either. We just need a better experience-but right now I don’t know what it looks like or where it’s going to come from. This entry was posted in social media, Social Networks and tagged Facebook, social business, the social web, Twitter by marc meyer. Bookmark the permalink. What’s next? I don’t believe it’s NFC like it sounds Google is currently banking on, but rather augmented reality with social integration. What are your thoughts? Good post Marc. Personally I think it’s because folks won’t fund exploration. Everyone is so darned ROI focused that they’d all rather be second to the party (and get it right) vs the ground breaker that makes a few mistakes along the way but also has the chance to assume first mover advantage and all the glory, PR and connections that come with it. @Tom sorry for the delay. They fund exploration on what has already happened instead of on what is possible.